"Heads Up: the friends and supporters of 2019 Nobel Peace Prize Nominee Julian Assange will NOT let him be taken into the arms of torturers quietly. We are organising en masse as I write this. Eyes on the hashtag #ProtectJulian and amplify!!" "AOC Thinks Concentrated Wealth Is Incompatible With Democracy. So Did Our Founders." Check this account on reddit then on here. Everyone whose mind has been divided into left vs. right politics is getting played: "It’s almost as though there is a directed + concerted far-right propaganda machine with a whole cable news channel, and a dark-money internet operation dedicated to maligning me & stoking nat’l division"
"Let no man pull you low enough to hate him." MLK Jr. 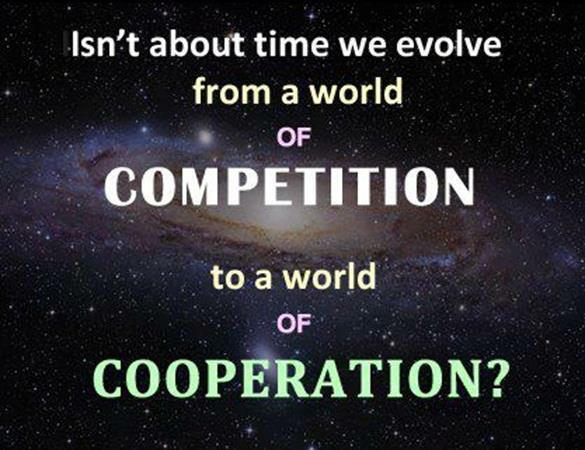 Isn't it about time we evolve from a world of competition to a world of cooperation!